I just returned from Las Vegas Market where Dunitz & Company was singled out for our contributions for making a better world. OK - four companies were honored. 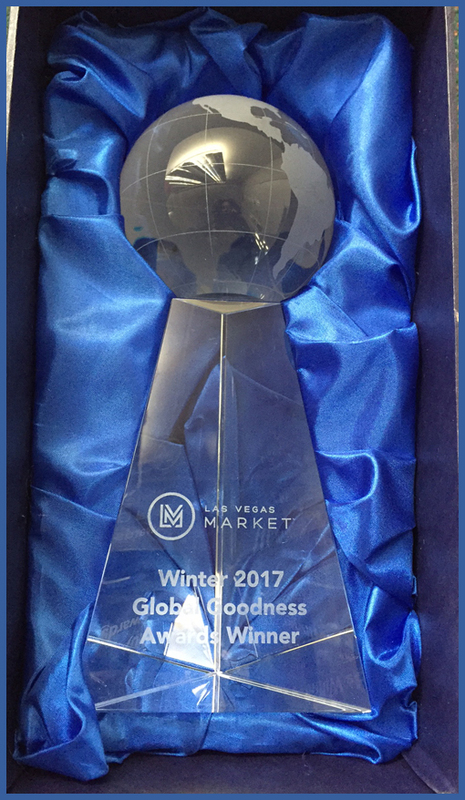 Las Vegas Market's intentions were to recognize companies whose production and business practices are making positive impacts on the gift & furniture industries and also to communities around the world. And that we do. Dunitz & Company actively follows fair trade principles and is a member of Fair Trade Federation. Dunitz & Company won a Global Goodness nod last year as a fan favorite. Facebook readers liked and commented on photos and stories provided by various exhibitors. We have great fans and customers. And we thought we might win the same nod again this year. Lots of our followers wrote wonderful comments about us. Turns out another FTF member, Quilling Card won this award.